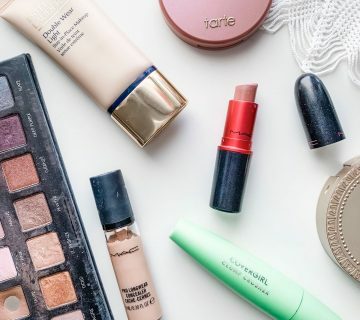 I’ve been on a bit of a drugstore makeup kick lately, which has led me to discover some new (to me) products and give others a second chance. I haven’t had a chance to thoroughly test all these products to give in-depth reviews, but I thought I would at least share some first impressions. Neutrogena Healthy Skin Liquid Makeup – Over the years, I’ve heard nothing but rave reviews about this drugstore foundation, and most recently I heard that it is a dupe for the Nars Sheer Glow foundation. So, I finally took the plunge and bought it when it was on sale at Target a few weeks ago. For the few times that I’ve worn it, I can say that I like it but I’m not yet overly impressed by it. The staying power isn’t great, and I tend to feel very greasy by midday. I plan to continue to experiment with this one once the temps cool down, and my skin is on the drier side. L’Oreal Voluminous Carbon Black Mascara – Oh, this infamous mascara. Celebrity makeup artists love it. YouTube beauty gurus love it. I just can’t seem to figure out why! I’ve repurchased this product several times over the years thinking that each time I will feel differently toward it, but I never do. It’s a very wet formula, which leads to it smearing and transferring onto my upper lid and brow bone area by the end of the day. I do currently have the wand removed from the tube to see if I can dry it out a bit … stay tuned. NYC Big Bold Volume Mascara – I haven’t completely made up on my mind on this one yet, but so far, I am liking it. The wand is similar to CoverGirl’s Lash Blast Volume mascara, so it builds well for extra volume and length. However, similar to the L’Oreal Voluminous, it is more of a wet formula, which makes a clean application difficult. I may try to dry out this one a little bit, too. e.l.f. 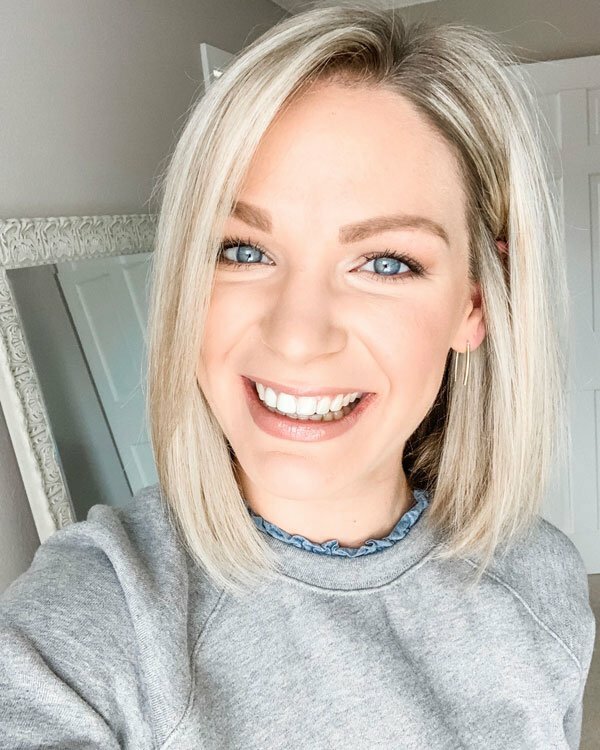 Lengthening & Volumizing Mascara – (Can you tell yet that I’m on a mission to try out several different brands of mascara?!) This product definitely isn’t great, but it’s definitely not bad either. 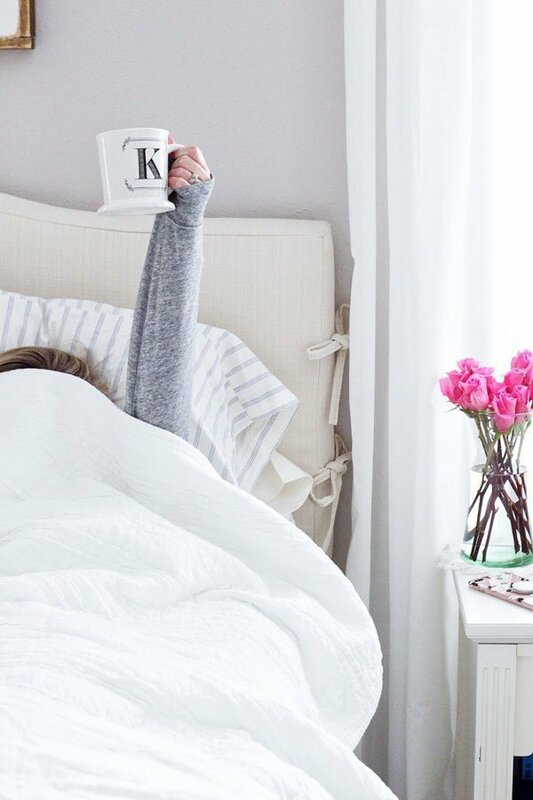 For a $3 mascara, what can you really expect? I do like how long the wand is and how it lengthens my lashes, but it doesn’t seem to build up well for extra volume. e.l.f. HD Blush – All I can say is that a little bit of this stuff goes a long way. This is a richly-pigmented liquid blush, and it gives your cheeks a fresh, healthy glow. I’m looking forward to trying other shades of this product! Maybelline Define-a-Brow Eyebrow Pencil – Since this product was included in my August Beauty Favorites, I won’t go into much more detail about it here, but just know that I may never spend $20+ on a high-end eyebrow pencil again. This one is THAT good. e.l.f. 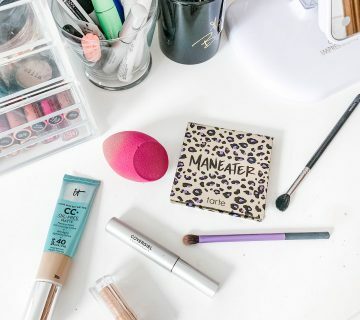 Under Eye Concealer and Highlighter – I adore products that are two-for-one, and this one is no exception. 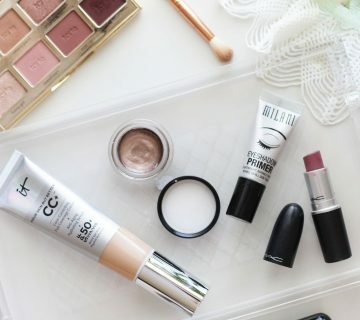 I’ve been enjoying the concealer on my minimal-to-no makeup days, and the highlighter is great for dotting along my cheekbones for an extra pop of light. For $3, you really can’t go wrong. What products from the drugstore have you tried lately? I really loved the Jordana black mascara a lot it was such a great black formula but I think it was too drying and made my eyelashes fall out….no bueno. Now I'm back to my $20+ mascara….I was scarred…. 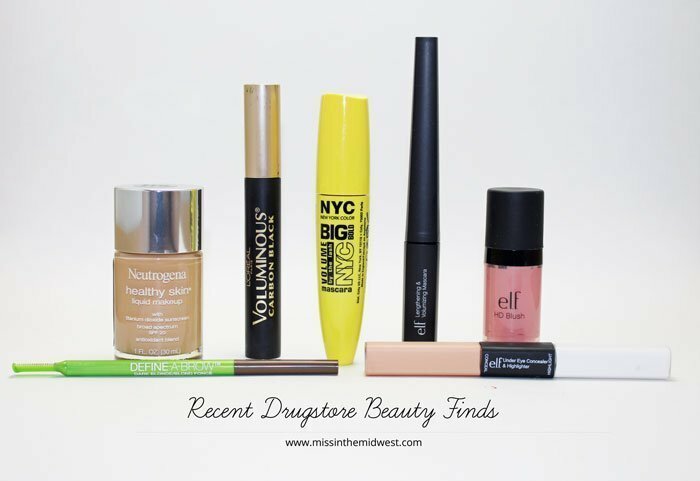 I need to start branching out and trying drugstore products… especially since you can easily return them, too! Looking forward to trying the elf blush first! Ooh I love elf – what drugstore did you find that carries it? I'm glad you held off! Like I said, I'm still playing with it a bit and plan to experiment more once the weather cools down, so maybe I will like it better then. But for now, it's definitely not my top pick. I'm trying to test as many mascaras as I can without blowing too much money … it's definitely a fun experiment! I didn't end up picking up that Neutrogena foundation since I realized I had four open products that needed to be used up first. I'm glad I read this before purchasing! I'll probably still try it out at some point, but it sounds like it would be a good winter product for me! For $3, that blush will last me a LONG time. A little goes a long way! You definitely should check out the e.l.f. products – they keep stocking new ones in the store all the time! This literally made me crack up – I couldn't agree with you more! The HD blush and concealer sounds great!! I've been wanting to try the concealer by ELF but a little worried it wouldn't do much!! Thanks for sharing 🙂 Staying away from the Neutrogena foundation for sure! I have yet to try a liquid blush, maybe I should start with the elf one since it wouldn't be too much of an investment. Can't wait to see which mascara tops the list – I've been using Benefits They're Real, but hate that it's a more expensive one! I need to try that Elf blush! And I've heard good things about the Elf concealer too! I wasn't overly impressed with the Neutrogena stuff either. Great reviews!! I'm so bummed to hear about the foundation! Neutrogena has such a good shade selection, but feeling greasy is definitely no good! It looks like you got some great elf products, I'll remember to take a look at the next time I'm at Target! Oh thank goodness–someone else who isn't all "OMG MY HOLY GRAIL MASCARA" when talking about the L'oreal Voluminious Carbon Black. My bff raved about it and practically forced me to buy it years ago. I hated it. HATED IT! So much so that I cringe when I see it in the stores (okay, I'm dramatic but whatever). Hah!